with subscription Yacht Charter Management, you pay a low monthly fee leaving us to pay all the maintenance bills and running costs for your yacht from any charter income – we even take the hit on any surprise bills. *This option is only available to newer yachts. In either case, we will manage the marketing and the administration of the charter enquiries and bookings. Your yacht is still available for you to use, whenever she is not on charter. This means that you can get the maximum benefit from your ownership, whilst ensuring that your yacht makes a significant contribution to paying her own way when you are not using her. We ask you to notify us of the dates you plan to use your yacht. These dates are then reserved for you and your boat will be ready on your arrival so you can just sail away. If you wish to sail at short notice, there is no problem, but we do ask that you call us to check we have not taken any last minute bookings. When the yacht returns to the marina we will check her over, thoroughly clean her and oversee any remedial work required or any additional work that you may wish us to attend to. We can arrange berthing at Hamble Point Marina on a walk-ashore berth and can provide you with a competitive commercial marine insurance quote. We can carry out all routine maintenance and servicing, as well as the annual winter haul out and refit, working with reputable local companies to ensure that quality is maintained and that work is followed through to satisfactory completion. If you prefer, you may also opt to carry out some or all the annual maintenance or other work on your yacht yourself rather than us arranging for it to take place. Standard or Subscription Yacht Charter Management? Our Standard Yacht Charter Management programme offers you complete control of expenditure on your yacht. We will identify and recommend maintenance or servicing work that needs doing, and you are free to accept our quotes or source your own. Our Subscription Yacht Charter Management programme offers the best peace of mind for any charter owner. The fixed monthly fee depends on the size of your yacht, but ALL running costs including berthing and insurance, maintenance and repair work are covered – so there are no unexpected costs or surprises. If you don’t want your yacht to be chartered, but would like someone to look after it on a daily basis, consider our Guardianage option. For full details including a sample budget, please call us on 02380 457110. 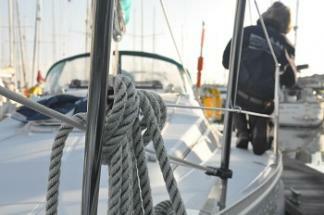 For more information, download our PDF on Yacht Management and Guardianage here. 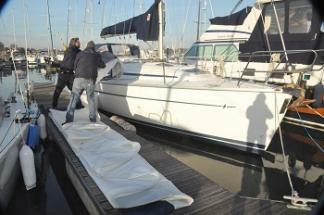 We have over 25 years of experience and of being based at Hamble Point Marina. During this time, as a family-run business, we have concentrated on offering a highly personal service to both the owners of the yachts on our fleet and to charterers. We aim for a friendly yet professional approach, and are members of the Royal Yachting Association, British Marine Federation and Marine Leisure Association. The majority of our charters are repeat bookings and much of our business is through personal recommendation. We have a reputation for a high quality of maintenance and presentation of our fleet, at the top end of the charter market. 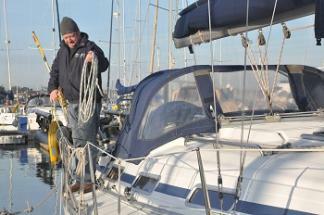 Our charterers tend to be individuals, families, sailing clubs and retired persons. Our location at Hamble Point Marina is easy to get to, yet provides prime access into the Solent. You will benefit from all the Club Outlook advantages offered by an MDL marina, including free visitor nights at other MDL marinas, 20% off boatyard services, and MDL WiFi. We will always be pleased to help with any queries or investigations that you may have concerning your yacht, equipment or sailing generally, and access to our 24 hour emergency hotline is available to you whenever you are sailing. We are conscious that we are responsible for your pride and joy, that you own her, and that you have first call on her use. We make every effort to respect your wishes concerning her and to maintain her in at least as good, if not better, condition than when she joined our fleet.